Last night I had my close friends over for dinner. 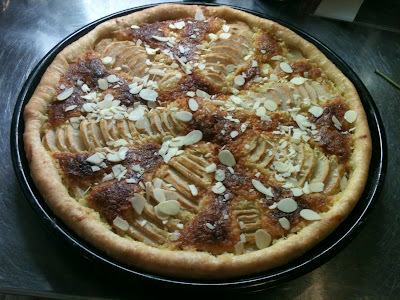 I wanted to make a Fall-Winter-like dessert, yet something relatively light and with fruits. 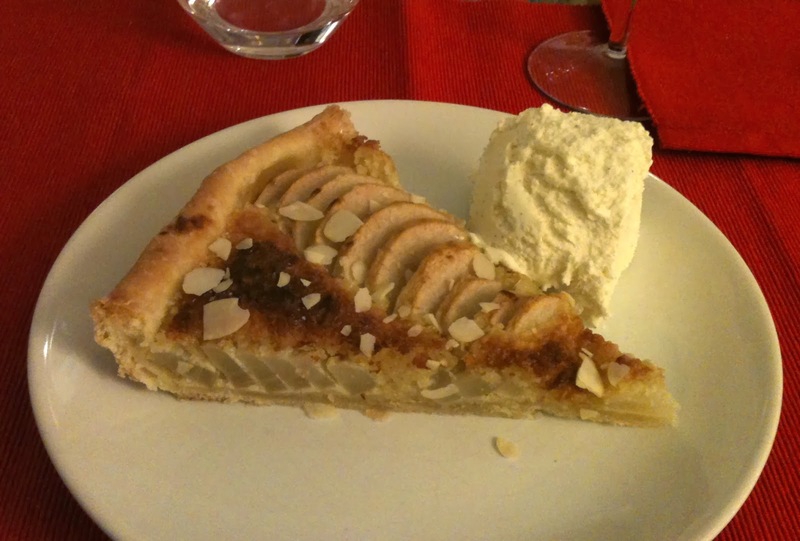 I remembered an excellent pear tart with almond filling that we often buy in the mountains in the Winter so I went on to try and replicate that delicious dessert. Prepare the dough as previously described and refrigerate it for 30 min. Peel and clean pears, cut them in 2 and slice them evenly (short side). Beat up butter and sugar together in a bowl. Add ground almonds and beaten up eggs, mix. Prepare a pie form with butter + flour. 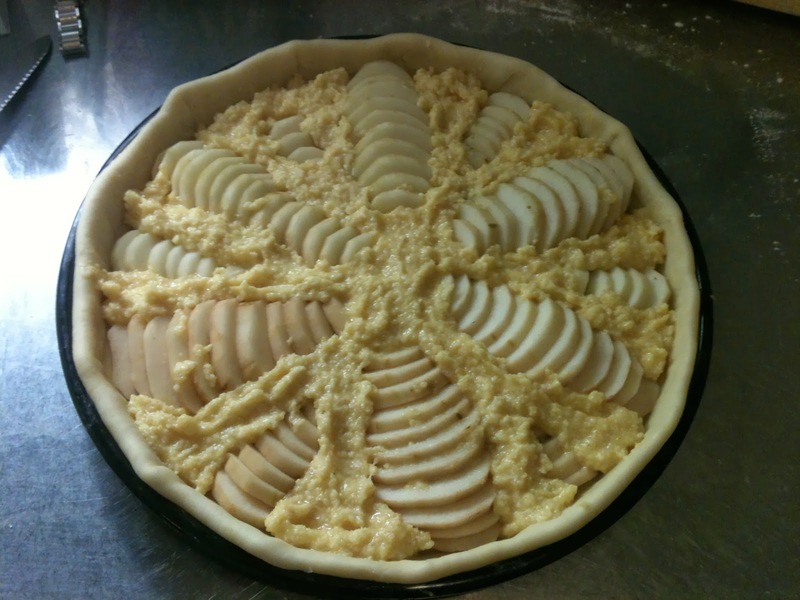 Roll out the dough, fold in edges, and prick it with a fork. Place pear halves evenly (geometrically) onto the dough and add the almond filling in between the pears. Bake in the oven 30 min at 200C. 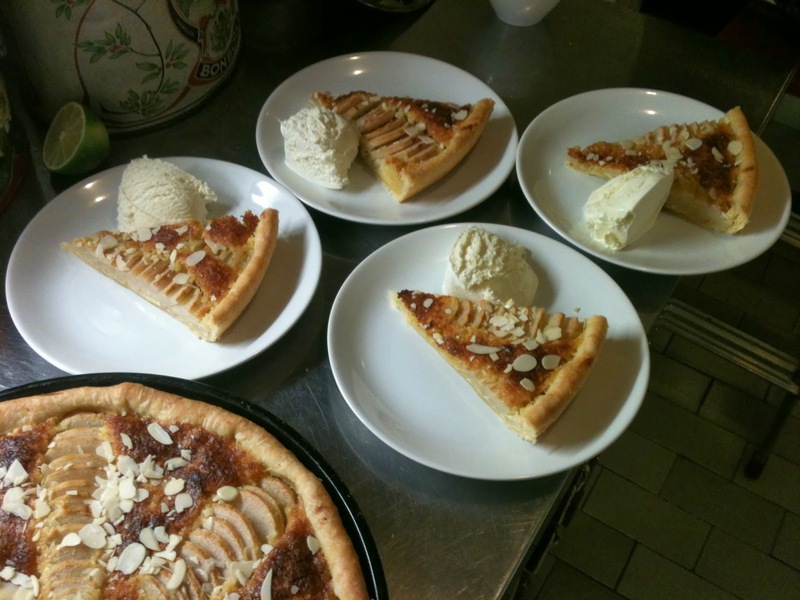 Decorate the tart with sliced almonds and serve with vanilla ice-cream! Enjoy!